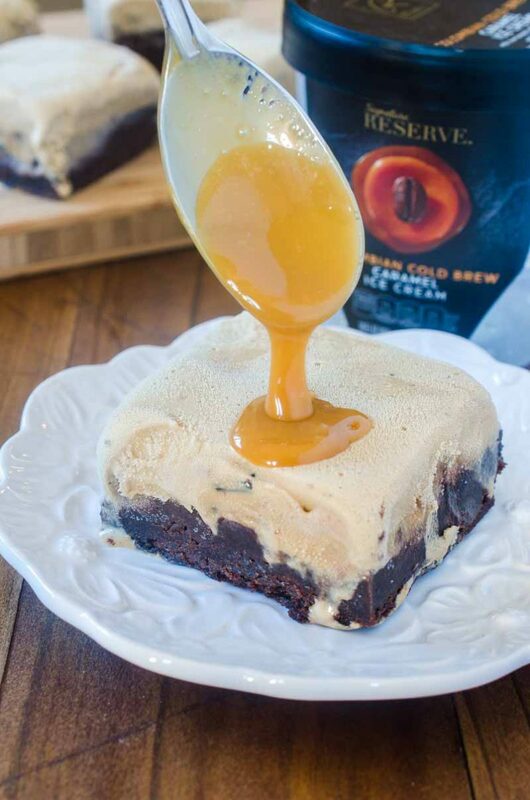 Cold Brew Caramel Ice Cream Brownie Bars are every bit as indulgent as they sound thanks to the NEW Signature Reserve™ Super Premium Ice Cream. This post is sponsored by Safeway. We are grateful for our sponsors as they allow us to bring you delicious free content every week. As always, all opinions are my own. One of my favorite desserts of all-time is brownies and ice cream. It is what I will order whenever I am out at restaurants. It’s what I want when I’m craving a late night indulgent treat. Really, you can’t get much better than brownies and ice cream in my opinion. 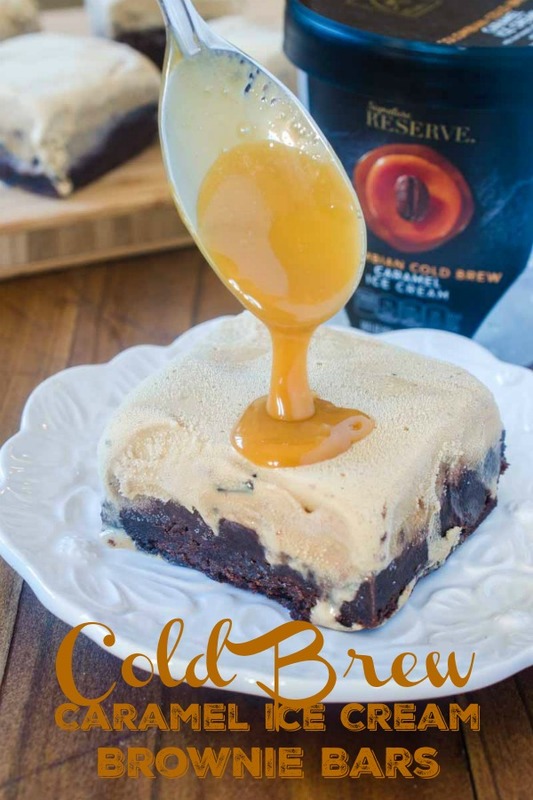 And when we’re talking fudgy brownies topped with NEW Signature Reserve™ Premium Colombian Cold Brew Caramel Ice Cream. Whoa mama. Pure bliss. 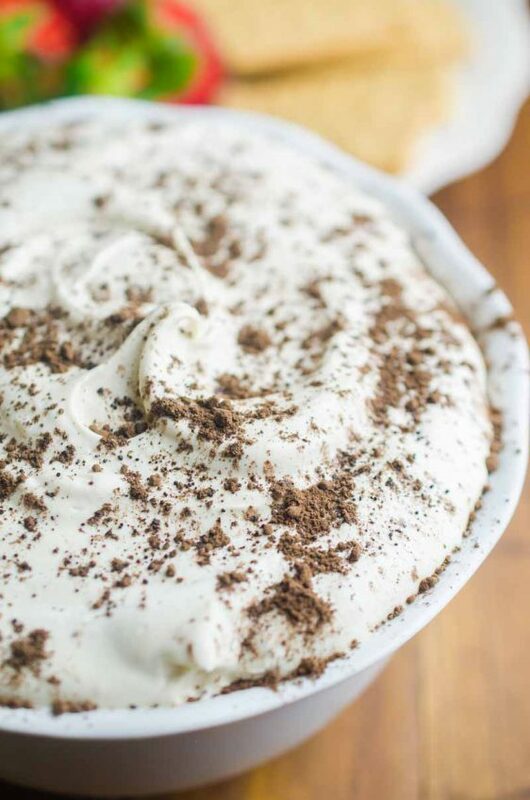 It is a crazy easy, super indulgent, dessert that will satisfy any sweet tooth. 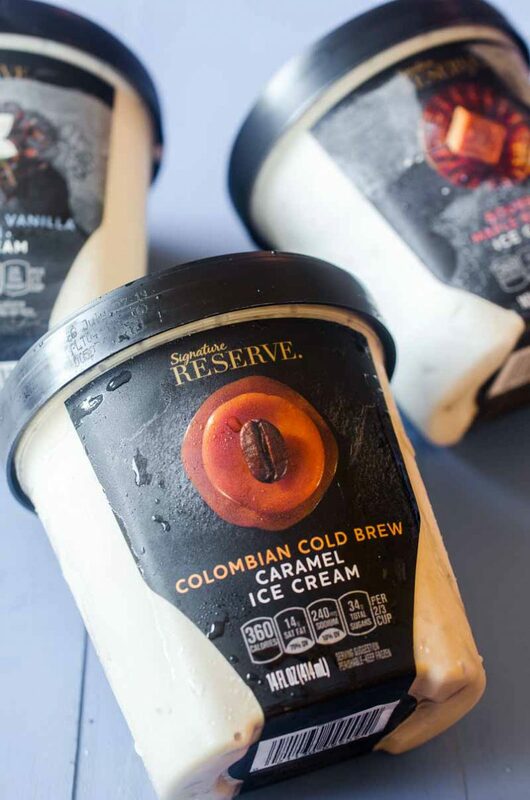 The line of NEW Signature Reserve Premium Ice Cream features such flavors as Colombian Cold Brew Caramel, Madagascar Vanilla Bean and Bourbon Maple Blondie to name a few. Globally sourced ingredients, a rich indulgent taste and unique flavors make this new line of ice cream a treat for everyone. When I first heard about the new line, I just HAD to try the Colombian Cold Brew Caramel flavor. I am a huge fan of cold brew coffee and caramel. So it seemed like something I would love. And I do. The ice cream is creamy and indulgent. Everything I am looking for in a sweet ice cream treat. And while the ice cream is fabulous on its own, I decided to up the ante a bit with these Cold Brew Caramel Ice Cream Brownie Bars. How do you make ice cream brownie bars? Basically, an ice cream brownie bar is what it sounds like. 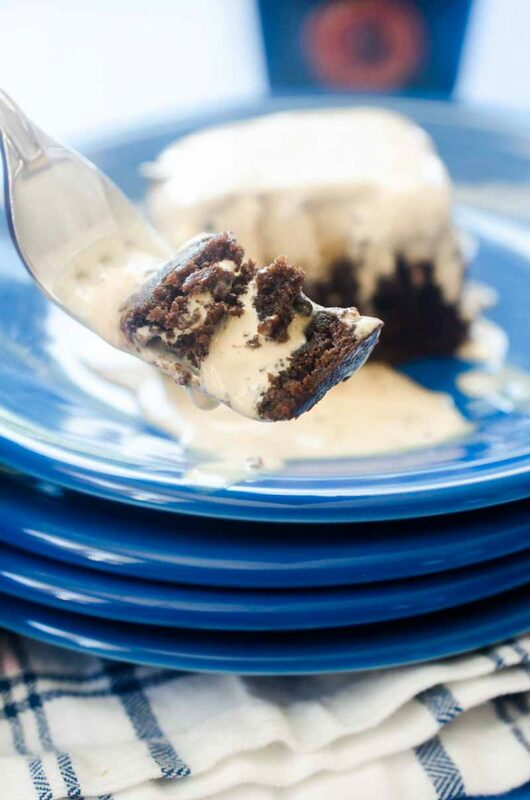 A layer of chewy fudgy brownies topped with a layer of ice cream. The brownies are baked first. Then softened ice cream is spread over the top and the whole thing frozen until ready to eat. 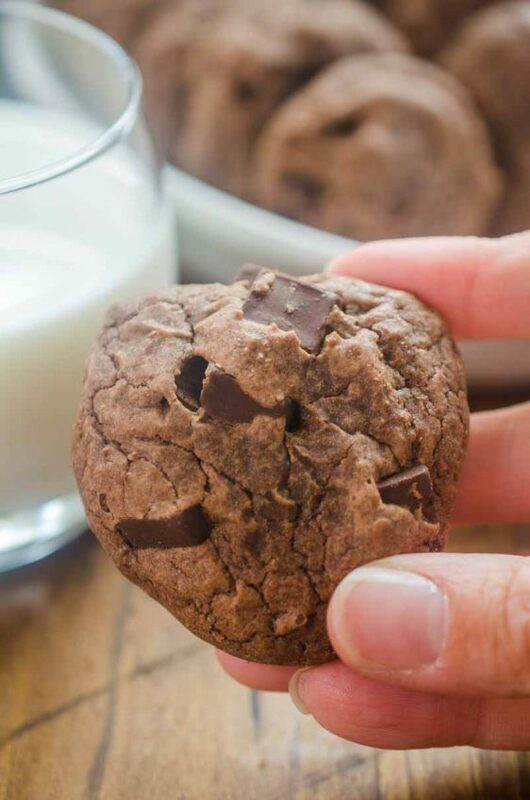 I’ve made a couple brownie ice cream desserts before including Mint Chocolate Chip Ice Cream Brownie Cups and Chocolate Covered Strawberry Ice Cream Cake but this recipe the easiest! 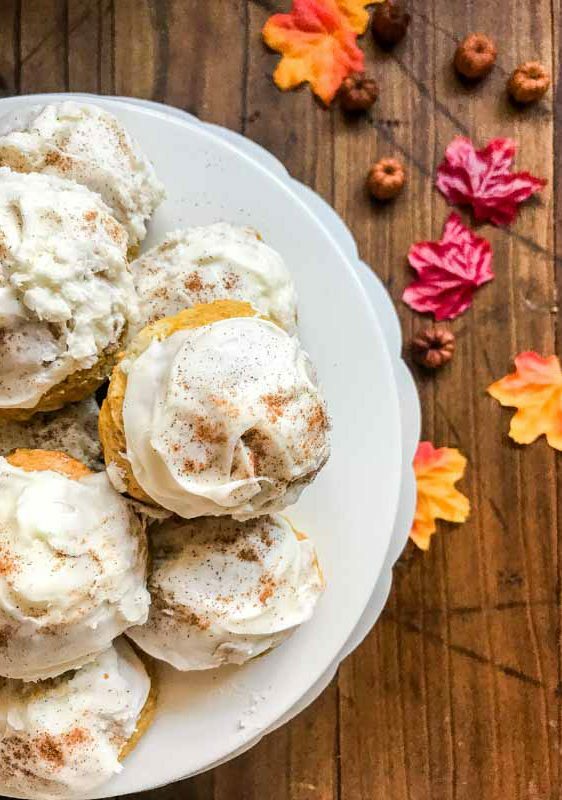 This dessert could not be easier to make. All you need is a box of brownie mix, the ingredients to prepare them and 2 cartons of Colombian Cold Brew Caramel Ice Cream. That’s it and that’s all. Pretty easy right? 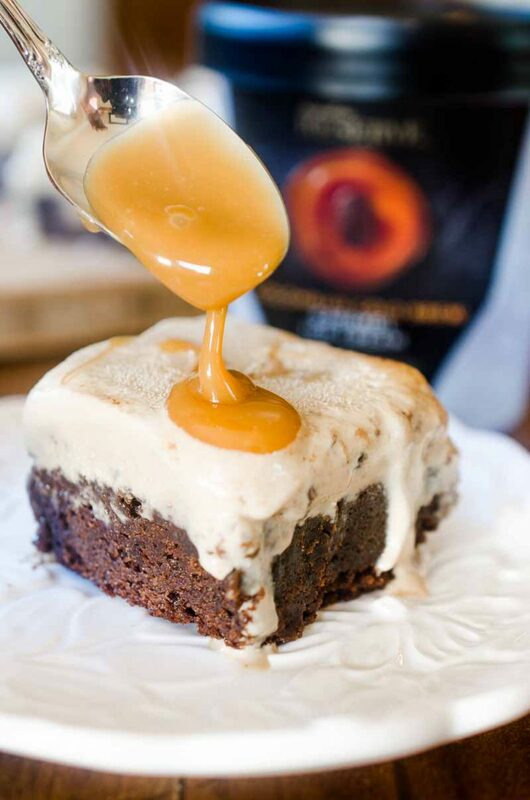 You can also drizzle more caramel over the top, because I mean, why wouldn’t you? 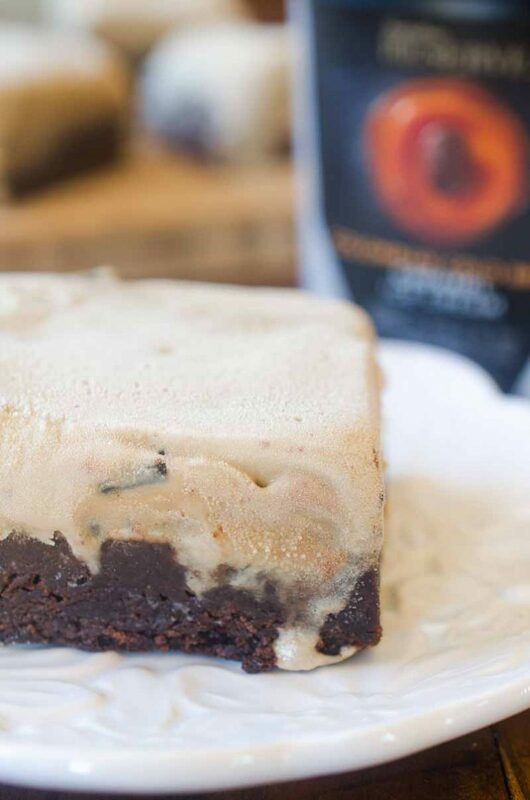 All you need to do is get your hands on some of the NEW Signature Reserve Premium Ice Cream and you could make any version of these brownie bars that you like! I buy my Signature Reserve products at my local Safeway, and you can also find them exclusively at all of the Albertsons Companies family of stores, including Albertsons, Safeway, ACME Markets, Jewel-Osco, Vons, Pavilions, Randalls, Tom Thumb, Shaw’s, Star Market, and Carrs/Safeway. 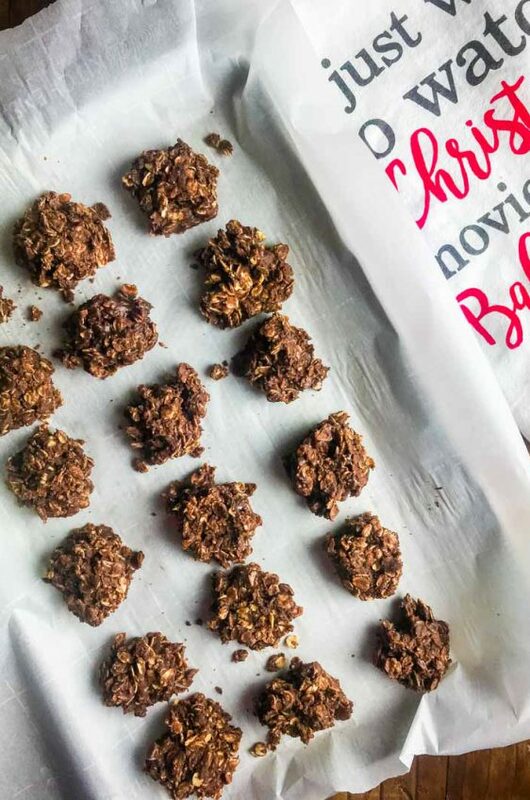 Visit banner.com to find a store near you and discover more recipe ideas. 1 (18.3 ounce) box brownie mix, plus ingredients to prepare brownies according to package directions. Line a 9in x 9in baking dish with aluminum foil. Prepare brownies according to package directions and cool. Allow ice cream to soften. Once softened spread over the top of the cooled brownies. Freeze until ice cream is firm, about 3 hours. That looks so good and I love how easy it is! 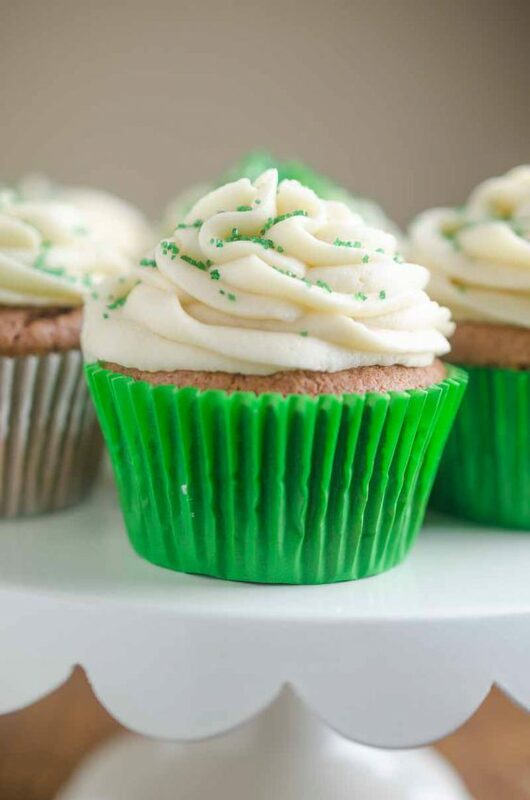 This is a great pick me up dessert! That caramel on top looks amazing!! The more caramel drizzle, the better! Looks fantastic! Sooooo since this has coffee in it, that means I can have it for breakfast… right? 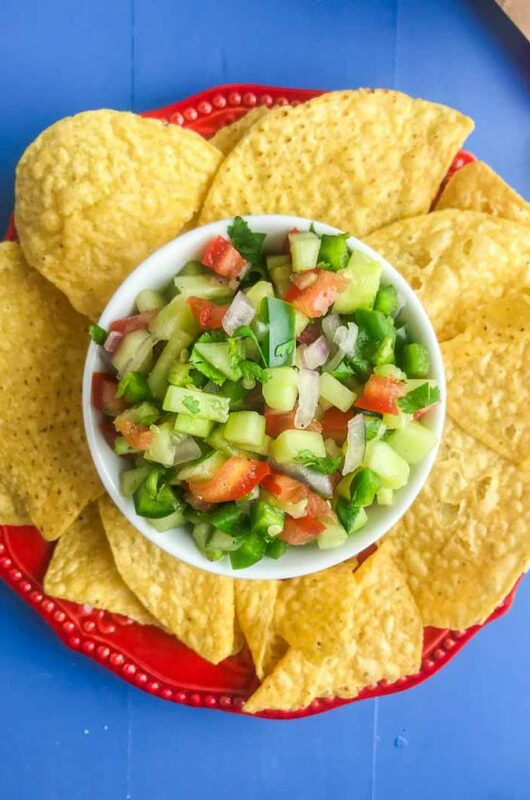 These are the perfect treats for hot summer days! !